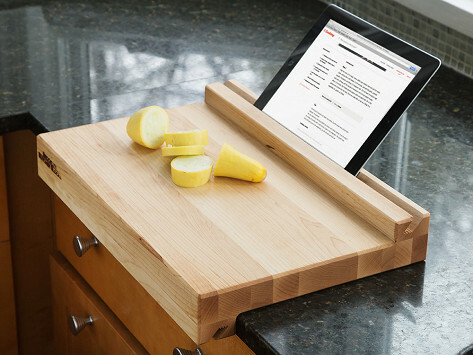 This Made in the USA, tablet-holding, edge-grain cutting board combines elegant design with modern functionality so you can easily follow your favorite recipes. Let the board hold your device for easy reading. Each board ages gracefully and stands the test of time. Dimensions: 12" x 18" x 3.5"
I love this board. Creative design and beautiful too. The best block I have owned and such a creative design. Beautiful too. Changed my life--such a cool thing! 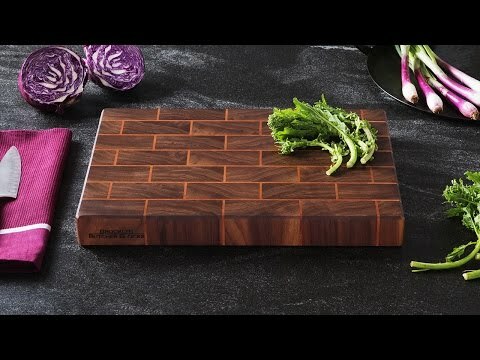 I love my cutting board. I buy ebook cookbooks when they go on sale at Amazon and other retailers and then use them as I chop and cook. It's honestly made me more interested in cooking. I also love the look of the board itself. We leave it out all the time and it's gorgeous.